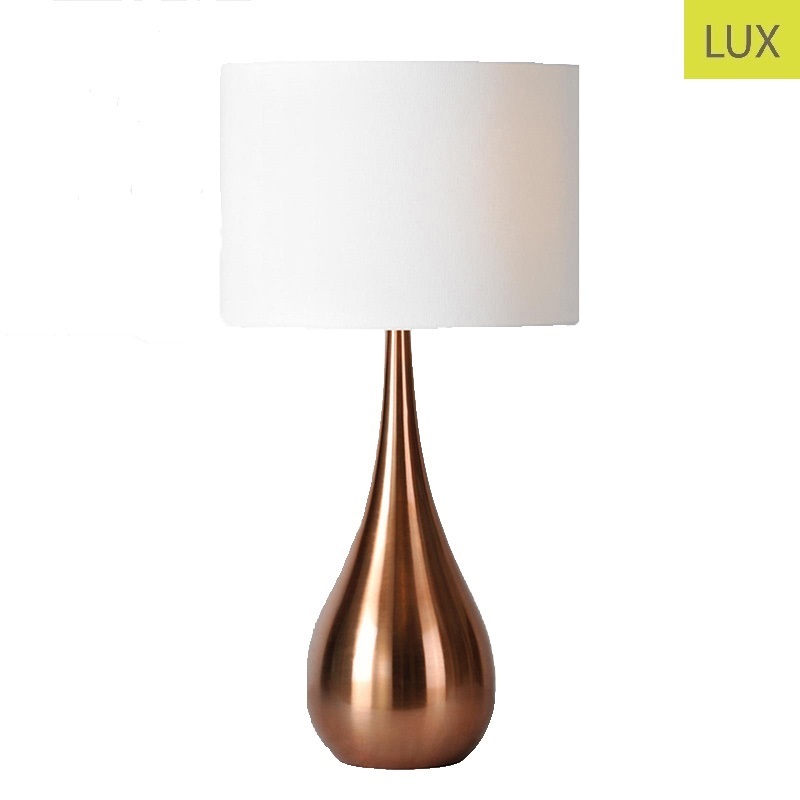 This beauty features a rosegold tear dropped body with a white drumshade. Bring a little elegance and uniqueness with these stunners. 15" x 15" x 26"